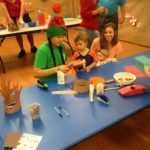 The second edition of A Harbor Holiday is scheduled for Saturday, Dec. 8, from 5:00-9:00 pm, and once again the free event will feature six holiday themed stops offering family friendly fun, games and plenty of good cheer. 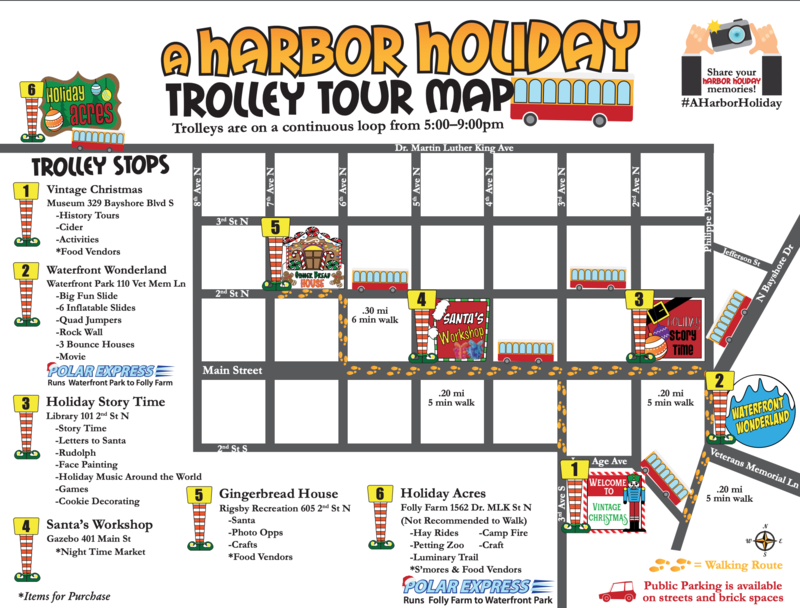 The inaugural Harbor Holiday was a huge hit last year, drawing large crowds to the six stations spread around the city and connected by the Jolley Trolley. With the second edition of the event right around the corner, officials are planning for an even bigger turnout this year. 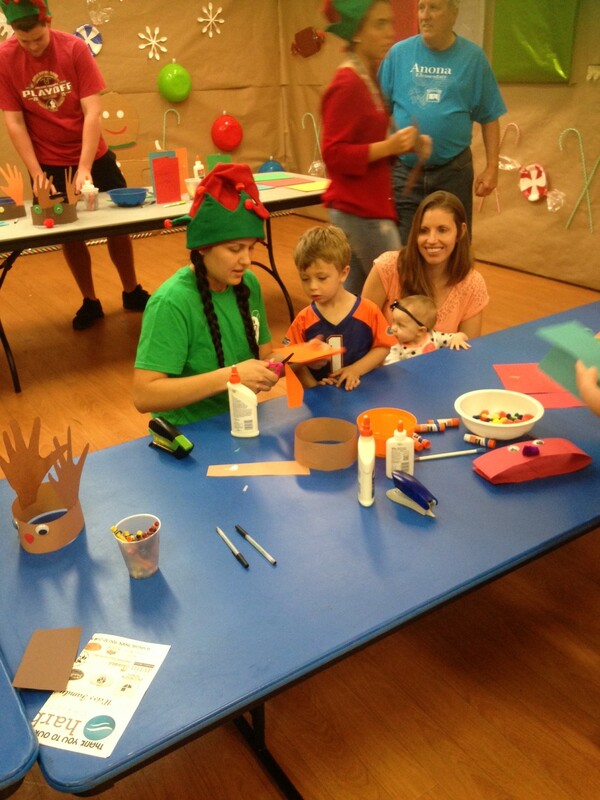 “The City of Safety Harbor Leisure Services Department’s elf squad is excited to be offering this community wide celebration for the 2nd year!” recreation superintendent Shannon Schafer said via email. Of the six stops, the first five are within walking distance each other, and a “Polar Express” trolley will be available to shuttle guests from the Waterfront Park to Folly Farm, which is located on Martin Luther King Jr. Street near McMullen Booth Road. According to the FAQ section of the event website, A Harbor Holiday attendees can park at any of the public lots and spaces that are within walking distance of the five downtown stops. Eight trolleys will be running throughout the event, and attendees can start at any location and attend as many stops as they choose. Only service pets will be allowed on the Jolley Trolleys, and open containers of alcohol are prohibited. 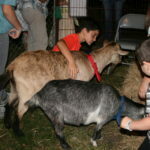 While the event is completely free, attendees are encouraged to bring cash or credit cards for the food and merchandise vendors along the route. Many downtown shops and restaurants will be open, as well. 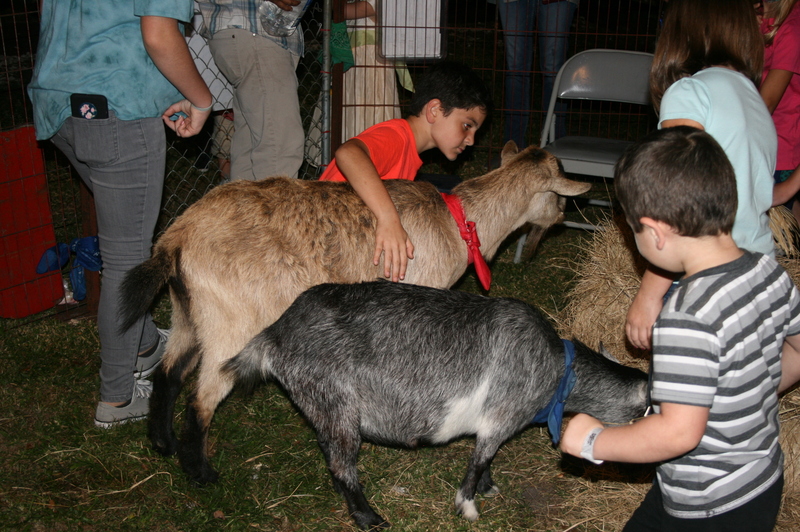 Like most holiday events in Pinellas County, the crowds could be large and lines could be long, so A Harbor Holiday organizers hope everyone will be patient and enjoy the free holiday festivities! For more information on A Harbor Holiday 2018, visit cityofsafetyharbor.com/aharborholiday. Details: Six holiday themed stops offering family friendly fun and games will be spread around downtown Safety Harbor on what promises to be an ultra-festive Saturday evening. 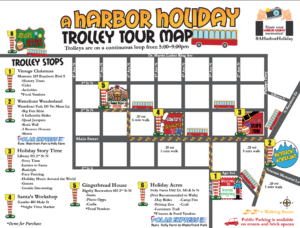 Attendees of the free event can ride the Jolley Trolley from stop to stop or walk from one downtown location to the next, enjoying the sights, sounds and smells of the holidays in the Harbor! I noticed the local hate site in town couldn’t even take a holiday break from posting photos of people’s homes so the trashy folks in town could post derogatory, classes comments. Merry Christmas, EVERYONE! Especially our new neighbors who have been unfairly targeted by the Zodrow and Besore supporters.